Gears 5 is an upcoming third-person shooter developed by The Coalition and published by Microsoft Studios for Windows 10 and Xbox One as part of Xbox Play Anywhere. The sixth installment of the Gears of War series, it is the sequel to Gears of War 4 and is scheduled to be released sometime in 2019. In addition to single-player gameplay, the game will support local split screen or online cooperative gameplay. Gears 5 is being developed by The Coalition as a sequel to Gears of War 4. 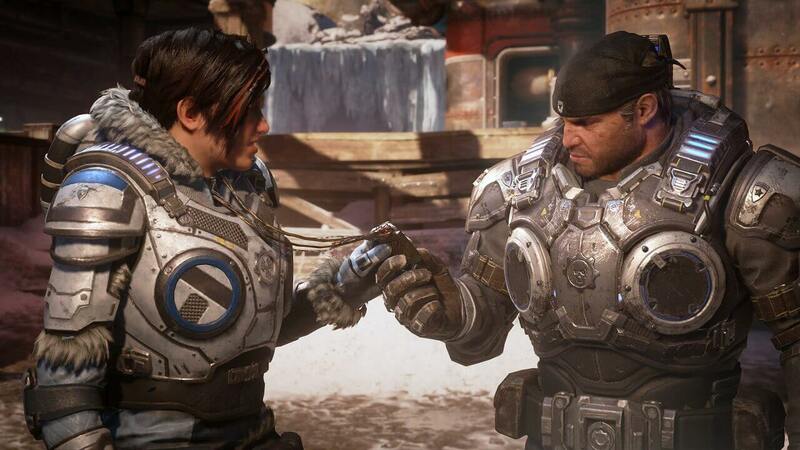 Unlike previous games in the Gears of War series, the game is simply titled Gears 5 (without the "of War" part).Xbox marketing boss Aaron Greenberg explained that the new title was "cleaner" and that it was a natural change because most people had been cutting out the "of War" part for years.For Gears 5, The Coalition decided to shift player focus from JD Fenix to Kait Diaz. According to studio head Rod Fergusson, "It was a natural choice. When you play through Gears 4, think of it as Mad Max: Fury Road. It was really Furiosa's story, and Max was the side kick. That's how it felt in Gears 4, the whole game is about saving Kait's mom, and really JD is there to help her.